The course offerings for the current year are available on this website, listed by level, for the 1000, 2000, 3000, and 4000-level History courses. Note that students may take higher-level courses to meet lower-level course requirements (e.g. you may use a 2000-level History credit to fulfill a 1000-level requirement). Students enrolled as History majors, combined majors, and History minors should ensure that they are following the proper degree requirements in choosing their courses. Students should ensure that they are satisfying the field requirements in choosing their courses. Every History course at the 1000-, 2000- and 3000-level has a field designation (except HIST 2809, 3807, and 3810, none of which may be used to satisfy the field requirement). Students majoring in History must complete at least 0.5 credits in each of four of the five fields (a “credit” is one full course or two half-courses). The fields are: (a) the world before 1750 (b) modern Europe (c) North America (d) Asia, Africa, the Caribbean, and Latin America (e) ideas, culture, and society. Having trouble? 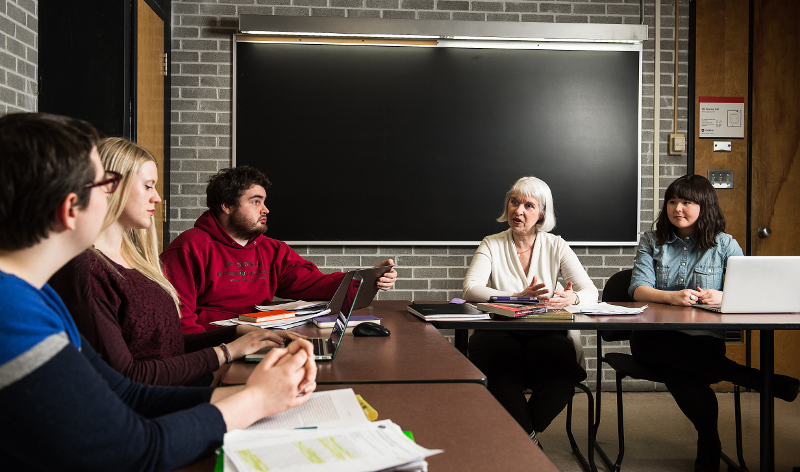 Students are welcome to contact the History Undergraduate Administrator, Tanya Schwartz, at 400 Paterson Hall or tanya.schwartz@carleton.ca, or the History Undergraduate Supervisor, Prof. Michel Hogue, at 445 Paterson Hall, 613-520-2828, or history@carleton.ca for any questions about their program. For questions about the B.A., students can seek assistance through Student Academic and Career Development Services.